This Counterfeit Detector detects the the validity of US currency using internal infrared detection sensor. 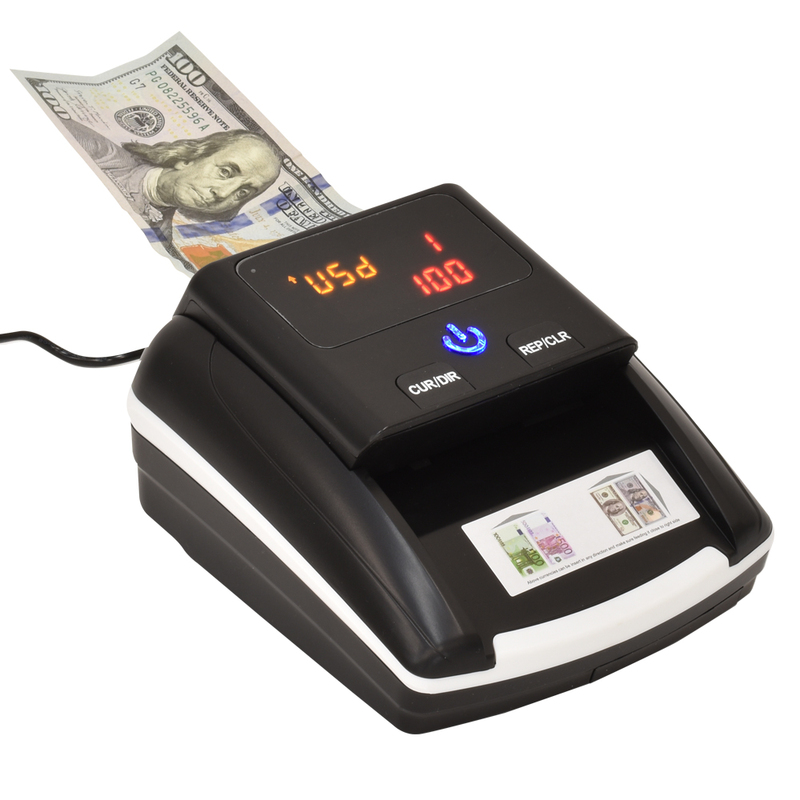 Rejects counterfeit bill with audible and visual alarm. Also detects bleached bills - Genuine $1 and $5s converted to $20 and higher denominations. Quickly pays for itself!. 110V power adapter included. One year limited warranty.